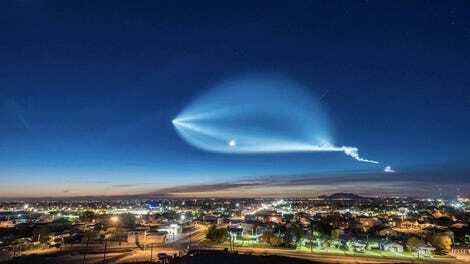 So Like, If You Could Bring Elon Musk's Tesla Back From Space, Would it Still Work? 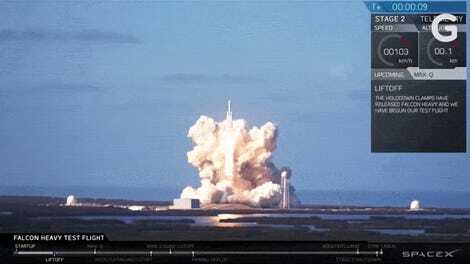 Today’s SpaceX launch was spectacular, making the Falcon Heavy the most powerful rocket in the world and wowing us with the synchronized landings of the side boosters. Yadda yadda, historic space stuff. But the payload was Musk’s own Tesla roadster with a spacesuit-wearing dummy in the driver’s seat. The answer is that it’s complicated. But probably not. “If he brings it back soon, there’s no reason why you wouldn’t be able to drive it,” Scott Bolton, principal investigator of the Jupiter-orbiting Juno mission told me. That’s provided we can somehow find the car and bring it back soon. But the car isn’t coming back soon. 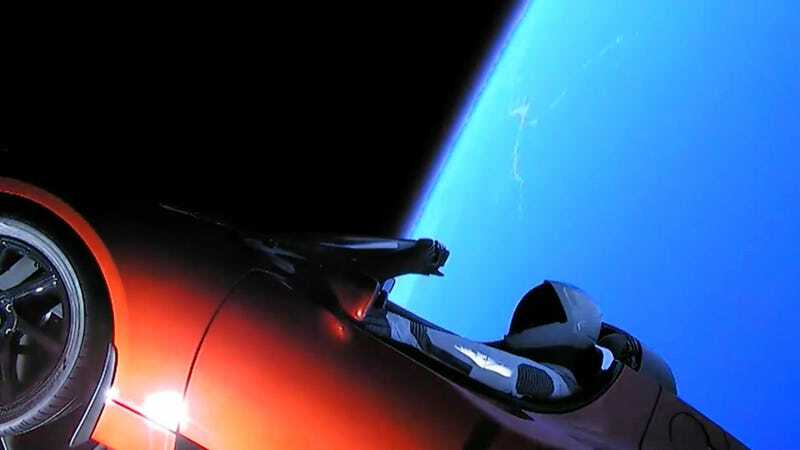 The shiny red Roadster is headed towards an elliptical orbit some 250 million miles from Earth, where it will orbit the Sun for hundreds of millions of years. Maybe even billions, should it avoid a direct hit with an asteroid or a collision with Mars. First, there’s the obvious vacuum of space. “I would guess a few parts would need to be replaced if the car they launched was exactly like the ones they sell, astrophysicist Summer Ash told Gizmodo in a twitter direct message. “Anything made of rubber would probably freeze and/or crack when exposed to the vacuum of space so I would think those pieces would need swapping out…” And the pipes might burst from low pressure. Bolton did speculate that perhaps if it had solar panels, the car would be able to drive on Mars. After all, it doesn’t need oxygen the way a combustion engine does. But, he said, “eventually it will get bombarded by high energy particles.” And that’s a problem. It’s an electric vehicle with computerized parts and a sensitive battery. Without shielding or an atmosphere to protect it, cosmic rays as well as high radiation from the Van Allen belt could fry the circuitry. It’s not an immediate problem, but the longer it spends exposed to the radiation, the more likely the small electrical components will degrade. And the car is headed straight through the belt, reports Inverse and Musk himself. There’s a bunch of other concerns that a NASA source who asked to remain anonymous told me about, like thermal cycling—the uneven heating and cooling of the metals in the car that could introduce stresses not usually present on Earth. Bonds could break, micrometeorites could nail it, and the metals might stick together through cold welding. It will die a death from a thousand cuts.